John Olsen 2014 fine art print titled “Coq au Vin” from Etching House, edition 40 only, signed John olsen and numberd. 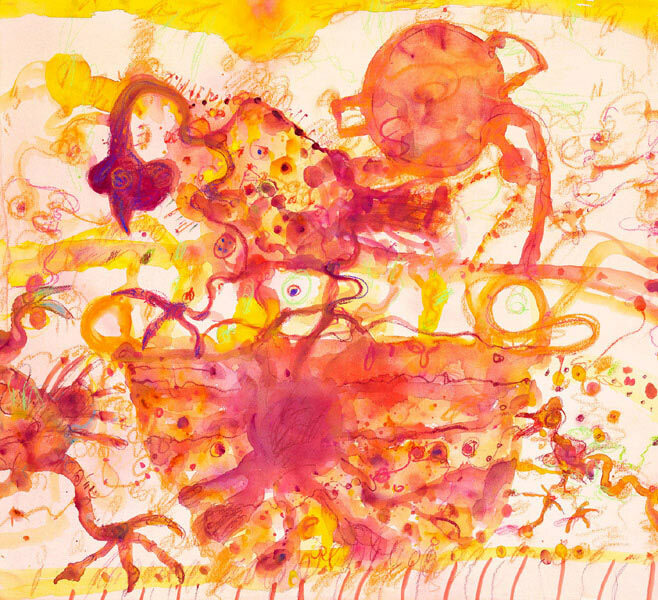 John Olsen fine art print “Coq au Vin” was released in 2014, all prints are numbered. This fine art reproduction print work is of the original John Olsen painting titled “Coq au Vin” and the print is blind embossed with a Kookaburra design drawn by John Olsen confirming their validity. A limited edition of 40 have been made available till sold, all Coq au Vin prints are made using Japanese pigment ink on 256gsm English watercolour paper to a paper size of 61 x 66 cm, image size 52 x 57cm, framing is available from Etching House.